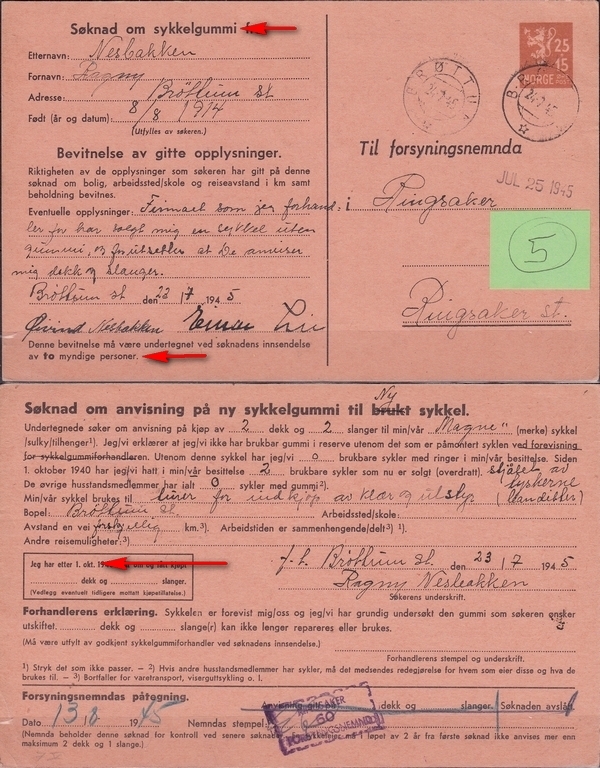 E.M. = Emil Moesture A./S. Oslo (printer). 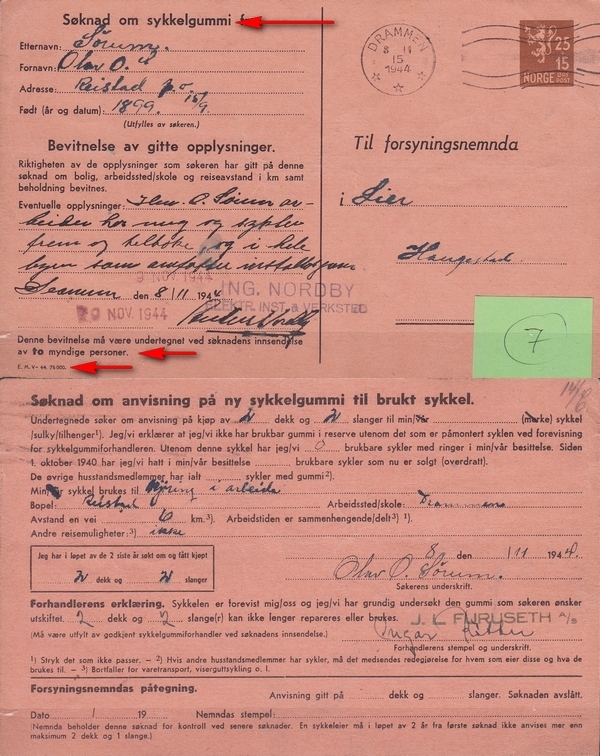 A translation of the Norwegian text could be found in BS1_22. 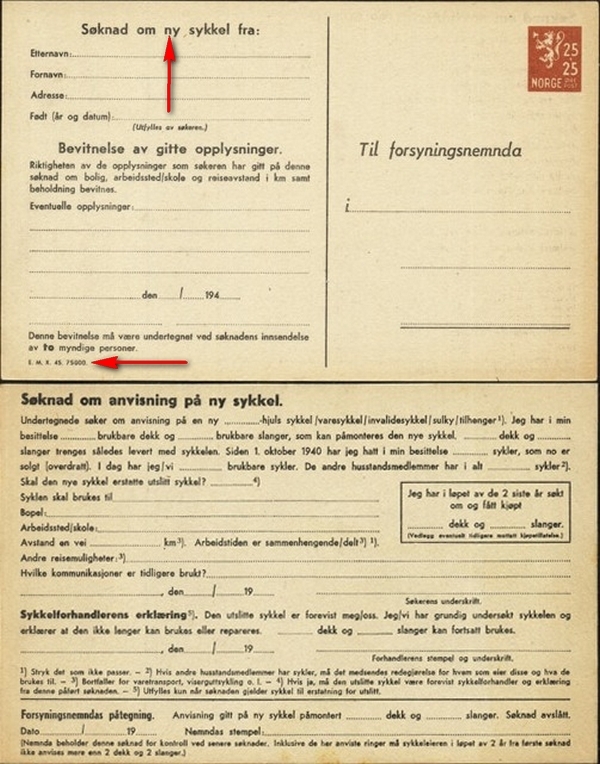 The cards were sold at the post office, then filled out and sent to the Office for Rationing (forsyningsnemnda), in the hope of obtaining a permission to buy a bicycle. 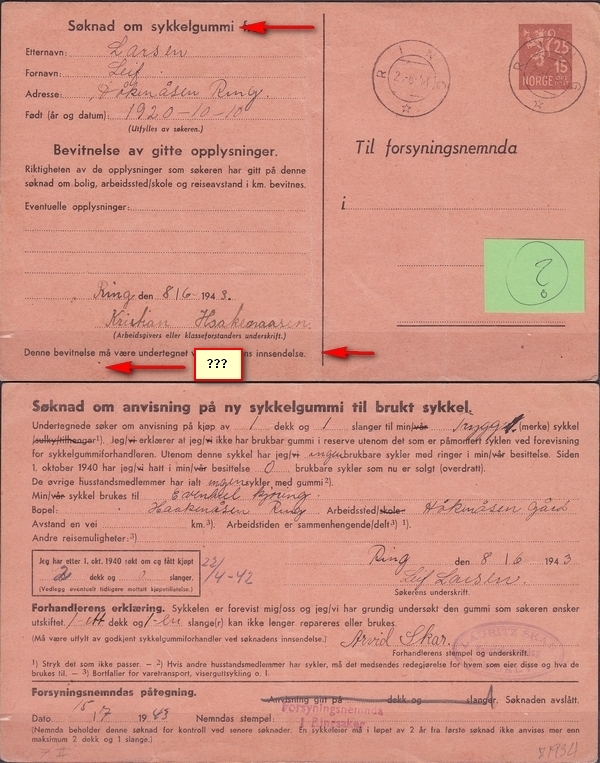 The surcharge on the "stamp" was used to carry the administrative burden of the "Department of Supply". 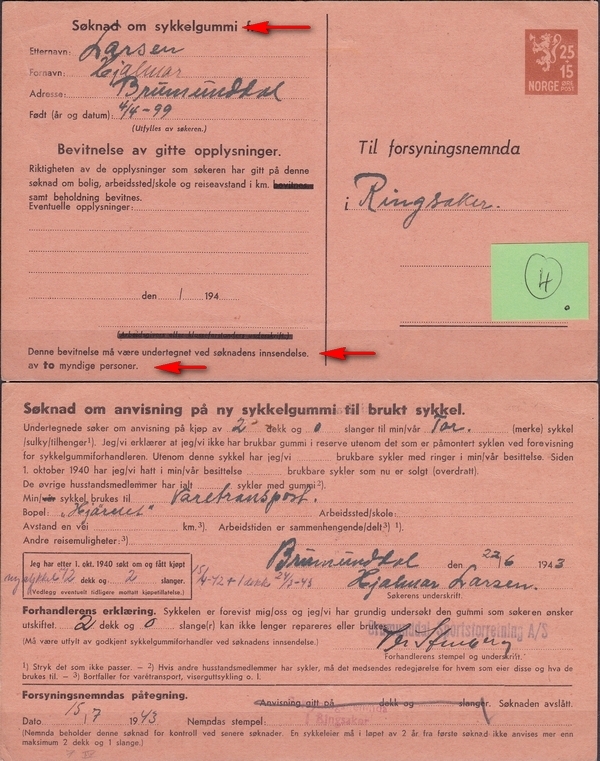 For saving reasons, a cancellation by the post was not provided, since the cards remained in the Office for Rationing and could not be used further. Despite that, cards stamped earn a premium price. 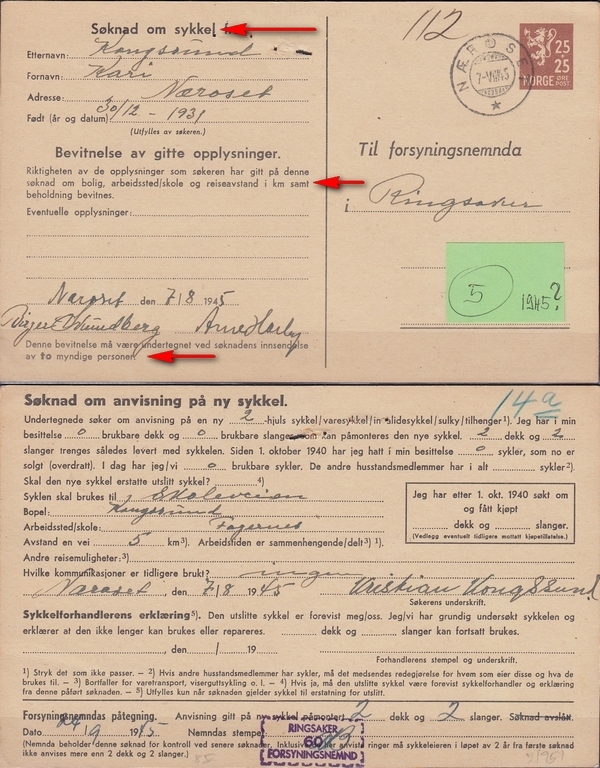 The assignment of the samples shown in the links above is not always quite as clear. There are probably further variants. 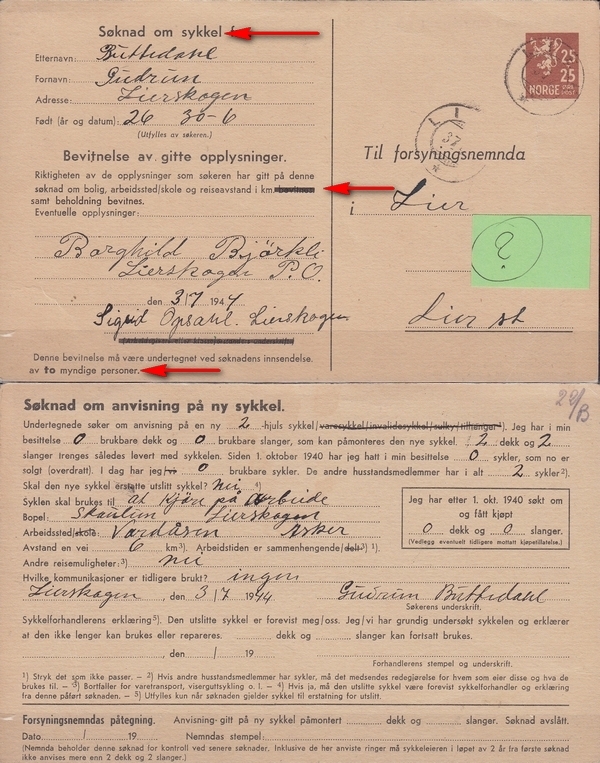 Two extreme scarce printing errors exist: RE20643 with the stamp printed upside down in the lower left corner (see Brofos, page 222) and a sykkel-card with blank back side (presumably RE20638). 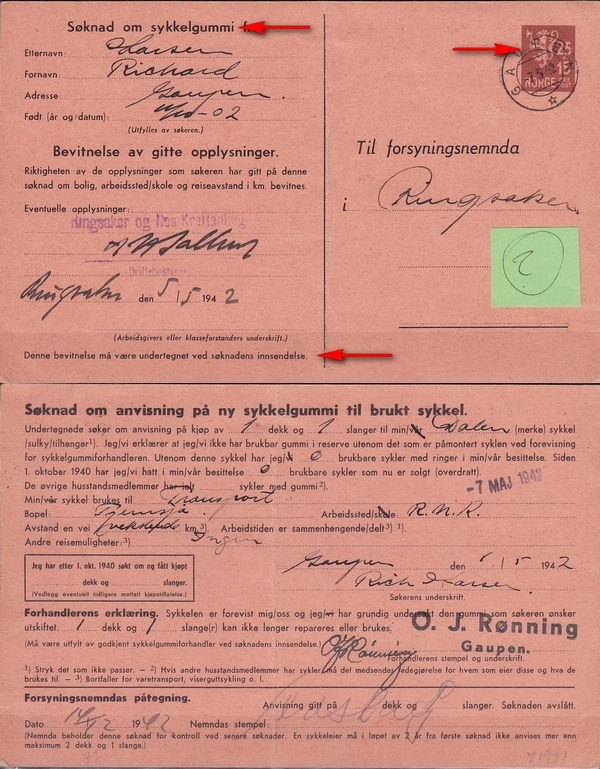 In some districts - for example Ringsaker - the cards were still used even after the end of the Second World War. 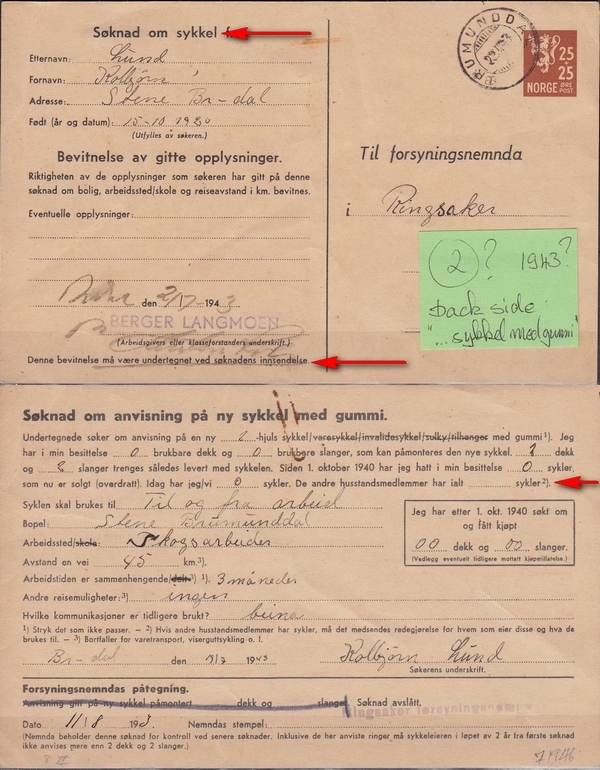 But at that time most archives were destroyed by fire - and the application cards unfortunately too. So feel happy, if you have one in your collection. 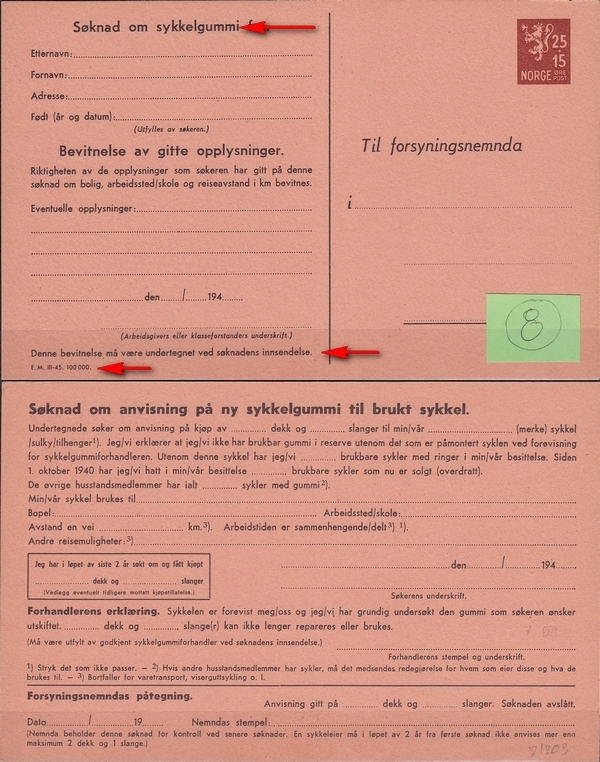 The content in the tables above correspond to the information in the "Catalog of Norwegian Postal Stationery“, published by the Oslo Philatelic Club in 1980.